If you are looking for a great way to get away this fall, and you are in Arizona (or even out of Arizona! ), there are some great options for San Diego – over 100 Kids FREE Deals. Kids are free in San Diego again this year! 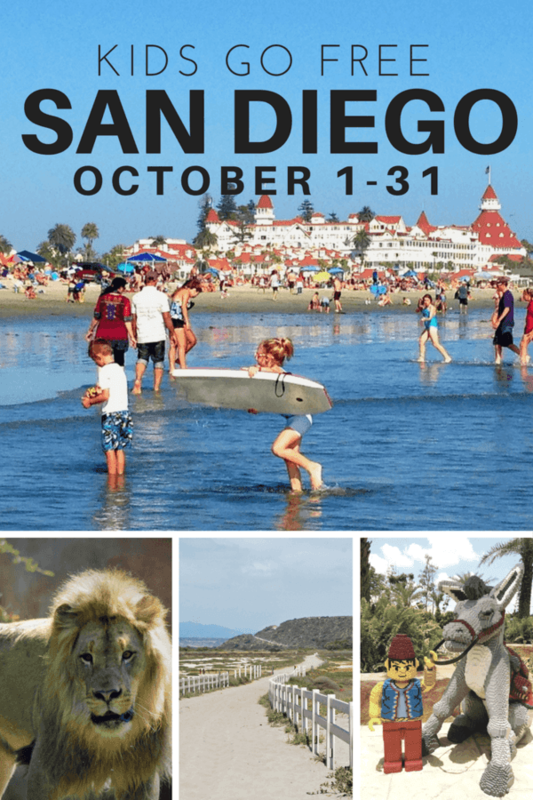 During the entire month of October, kids eat, stay and play for free throughout San Diego. There are a multitude of Kids Free Offers that you can browse HERE. If you need to make it a weekend trip, you can check out Groupon for some Getaway Deals for the Orange County and San Diego area as well – I see lodging for 1-3 days that is available – some with free breakfast, parking and much more. Visiting San Diego? Here are some other things to do!